How would YOU KNOW if you child has a vision dysfunction? Home » Vision Therapy » How would YOU KNOW if you child has a vision dysfunction? While the only way to be sure if your child has a medical vision diagnosis is to have him evaluated by a developmental optometrist, there are some things that may point to a vision difficulty. Please see the checklist for more signs and symptoms. Every child is different and thus can be affected differently by a vision dysfunction. The best first step is to determine of your child’s difficulties are due to a vision diagnosis, and know that if they are – WE CAN HELP! We know that a medical diagnosis can be scary, but the first step is knowing, and we can help you determine the best route to take in order to help your child. Whether it’s an issue with convergence, accommodation, visual perception, or an eye turn; there are many non-invasive things that can be done in order to help your child achieve her full academic and personal success. You can trust us. We are here for you. 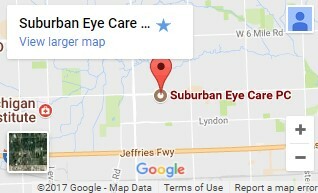 Learn more about our vision therapy and pediatric eye care practice providing advanced medical optometry to patients from all over Michigan including Metro Detroit, Plymouth, Ann Arbor, and Dearborn.